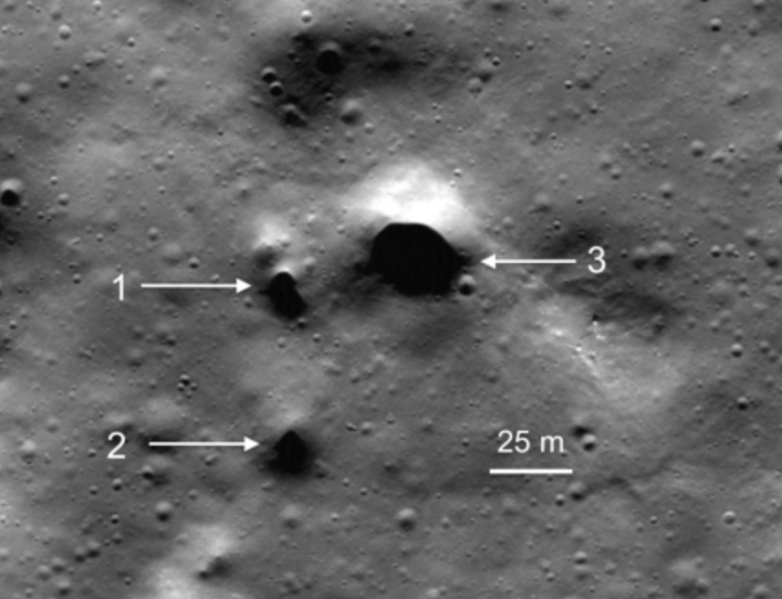 Tunnel Entrances Discovered On Moon Surface - Its A Strange World. Openings have been found near the north pole of the Moon to what seem to be lava created tunnels. The tunnel entrances were discovered by researchers who were working with the SETI institute and the Mars institute, and were found on images taken by the Lunar Reconnaissance Orbiter. It is believed that the holes may lead down to a vast network of lava created tunnels, however currently it is unknown how extensive they may be. “The highest resolution images available for Philolaus Crater do not allow the pits to be identified as lava tube skylights with 100 percent certainty, but we are looking at good candidates considering simultaneously their size, shape, lighting conditions and geologic setting,” said scientist Pascal Lee. If they do indeed lead down to some caverns, the idea of using them for human shelter has already started to be thrown around.